Apple is hard at work on a follow-up to its wildly-successful AirPods wireless earbuds. 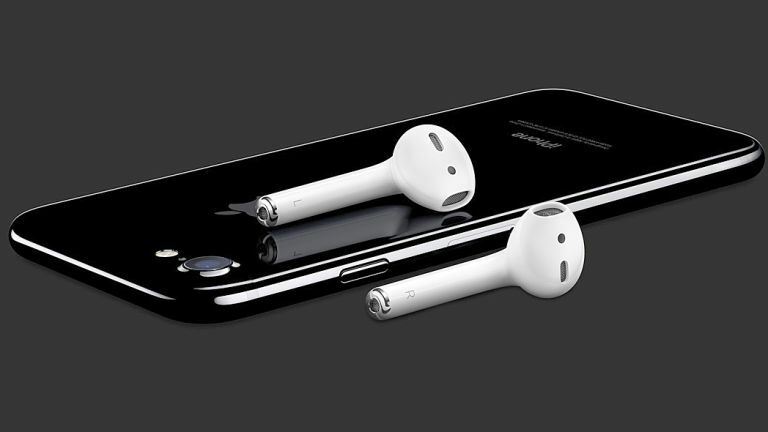 Little is known about the so-called AirPods 2, but now a new certification from the Bluetooth SIG – the standards organisation that oversees the development and licensing of the wireless technology – reveals some interesting new tidbits. According to the certification, which was leaked and published on technology publication MySmartPrice, Apple AirPods 2 will support Bluetooth 5.0 instead of the Bluetooth 4.2 version inside the original AirPods. Amongst other improvements, this should offer improved battery life for the wireless earbuds. AirPods currently support five hours of listening time, and up to two hours of talk time on a single charge. The carry case, which charges the earbuds each time they're placed inside, can top-up the AirPods enough to equate to 24 hours of listening time. It's difficult to speculate about exactly how much the battery life could be bettered thanks to the introduction of Bluetooth 5.0, especially since Apple could decide that it would rather keep the battery life the same as the first-generation AirPods and would rather shave some bulk from the earbuds to make them skinnier. After all, this is the approach the company has taken with its iPhone and iPad ranges, targeting the same battery life while thinning the size of the latest devices. Battery life aside, the latest Bluetooth version does offer some other improvements. Bluetooth 5.0 offers four times the wireless range of the Bluetooth 4.2 standard used in the original AirPods, so you won't be tethered to your iPhone quite as tightly with the next-generations earbuds. The new Bluetooth standard also offers twice the amount of data transmission as its predecessor. According to the leaked Bluetooth SIG certification, the new earbuds are identified by the model numbers A2031 and A2032, which are believed to identify the left earbud and right earbud, respectively. The latest leak comes days after Apple updated a trademark filing in Hong Kong and Europe that references its AirPods wireless earbuds. The updated trademark filings, which were spotted by the eagle-eyed Patently Apple, refers to the as-yet unannounced AirPods 2 as Class 10 hardware. For those who aren't up-to-date on their legalese, Class 10 refers to devices that are intended to be a general wellness device, which typically includes "health, fitness, exercise, and wellness sensors, monitors, speakers and displays for measuring, displaying, tracking, reporting, monitoring, storing, and transmitting biometric data, heart rate, body movement, and calories burned." This seemingly confirms earlier whispers from the supply chain that suggested the second-generation AirPods will be more health-focused, sweat-proof iteration. It's possible Apple will allow the earbuds to top-up your Activity rings à la Apple Watch. Apple is rumoured to be gearing up to launch its new AirPods in time for the Christmas shopping rush. T3 will keep you posted about any rumours.